Building credit towards purchase with each payment, you can try a violin, viola, cello or bass without buying an instrument immediately. Playing a stringed instrument can be a very rewarding experience. On the other hand it can be painful and frustrating if the instrument is of poor quality, or is improperly adjusted. 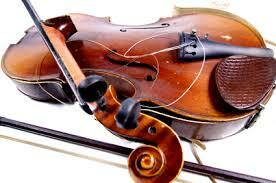 At Stearns Violins we feel that every student instrument we rent should be easy to play and produce a good tone. For this reason we are particular about what we rent, and careful about how the instrument is adjusted. We never require long contracts, promptly fix or exchange your instrument when maintenance or upsizing is needed. We make this easy for you.